RH: Admiral Feldt, in addition to the previous discussion, you have said to enhance maritime awareness it is essential to return to the basics of geography. According to renowned geopolitical author Robert Kaplan, a map is a spatial representation of humanity’s division, by which he means not just physical territory but topography. Let me ask: with so much advanced technology providing satellite imagery and real time data, why should we consider the influence of geography? LF: To answer with a question, are we overestimating all of our technical development? Are we really reliant only on technical information, the internet, etc.? Are we able to take into consideration other important criteria as well? Geography is a big criteria, even today. If you look into geography, you are looking at the people living in that geography, to the culture which is their culture, the weather conditions, the climate, and how people live. This has great importance and great influence on everything which we have to decide in the maritime domain. Therefore I think if you are working together with people from the Southern parts of Europe region, or German authorities to ones in Spain, Italy, South France, Greece, or Turkey, or whatever country you may name, of course the way they are solving problems is different. And this has something to do with the areas in which they live, and the living conditions. The living conditions are formed and created by geography, and directly and indirectly by the climate conditions in which they live. So I think it is important to look into the geography as well. As a seafarer, even if you believe in civilized navigation, even if you think a satellite is covering the whole globe, you must still learn that that is not the case. It will not happen in the next decade as well. So there will always be areas which are not covered. There will always be areas which are up to today, which have not a reliable a sea map, a sea shot. If you go into the big regions, the only thing you can rely on is the GPS. This makes it very clear that geography and the conditions created by geography are very important. Weather affects all operations. You can have a wonderful operation plan think you have thought through, if you have forgotten the geography of the weather, it is a risk you should not accept. RH: Admiral Feldt, now that we have looked at a catalogue of issues that have impacted sea awareness, it is critical for our listeners to place these subjects in the role of global stakeholders. Obviously the headlines on this ticket are the NATO and the EU. You distinguish in your piece the remarkably different approaches to issues. Consequently, can you provide a quick snapshot of activities of global stakeholders in the maritime space? LF: I think we have to talk about the international maritime organizations as well. I always think and call them the guardians of the sea, and they have developed a lot of very helpful legislation for the sea. They are responsible for all the agreements and they have developed a code of conduct for a limited number of countries. So I think yes it is a lot of administrations, a lot of paperwork. On the other hand you need these basic documentation, you need this framework in which you are doing your business as a commercial in which you have to follow the sovereign estate as well. I think the International Maritime Organization is an important player. The weakness of the IMO that they cannot enforce their own laws. They have no enforcement capabilities and the only nation who is able to enforce the IMO’s laws and other laws is the United States and it will remain to be the United States. Maybe in competition with some other nations, China is trying very hard to become a very important global player in the maritime domain as well as the Russian Federation. I understand very well why they are doing that. I wouldn’t blame them about that, but we have to take into consideration they will in any case be in some sort of competition with the U.S. The U.S. needs a global strategy, maritime strategy, and a naval strategy, this is a comprehensive approach that works very fine. And then of course we have the European Union. NATO is the North Atlantic Treaty Organization, it was focused on the North Atlantic. During the last years, NATO was much more involved in army and air force business than in the naval business. This is something that I do not appreciate because now we have a lack of maritime expertise which we have to overcome quite soon. The EU is becoming a much more important player, not just in civilian issues, but also in the economic side, from a common defense and security policy side as well. I think the EU will increase its military experience, and NATO will be much more open, civilian-military operations as well. The African Union has developed an all-maritime strategy for the African continent. They are a regional initiative. They have the potential to become a very important player as well. I think they should be interested in taking responsibility for their own territorial waters and increase their independence from others. And then we have what we did call the BRICS, Brazil, Russia, India, China, South Africa. China will be a big player, and already is a big player, and will become an even bigger player in the maritime domain. Brazil has for the first time taken on international responsibility in supporting the European navies in the Mediterranean several times for example. Russia is looking for naval bases outsides its territories. Now they are in Syria, it has the occupation of Crimea, not only because they love the people there, but because of a very strategic impact in now having an important naval base in the black sea. So they are all playing to their national interests. The only ones who are trying to improve not only its own capabilities but of its neighbors as well is South Africa. They have a good navy as well. They can support the navies in developing their own coast guards and to a certain degree their naval functions as well. RH: Anyone listening will get a perspective on how crowded the maritime domain is and how competitive it potentially is both from a bloc perspective or from an individual country perspective. Returning to the EU, its early security ambitions were defined by 2003 European Security Strategy: A Secure Europe in a Better World by the EU’s common representative for the common foreign and security policy, Mr. Javier Solana. It was more recently amended in 2008 and paid scant attention to the maritime situational awareness. This is particularly frustrating since this piece establishes how crisis can develop far from Europe and still affect continuity on the continent. Moving forward, has the EU addressed this phenomenon? LF: Yes, it has. I think in 2003, the world, not just the maritime domain, looked very different from nowadays. Strategy: A Secure Europe in a Better World, updated in 2008, has been overtaken by events. The EU has developed a newer strategy in a very good way. Everyone was involved in that. It took us only three-quarters of a year. We have a new strategy which is a very good build up, taking an important part of security and defense issues in the strategy, which was not the case in the first. Now I think it is a comprehensive approach. To deliver something of a comprehensive approach, where all the actors know their responsibilities, and knowing that they don’t have to do this on their own in one pillar, in isolation from the other, they are doing this together. Strategy is encouraging them to do that. Perhaps encouraging is not strong enough; it is forcing them to do that. And therefore I really appreciate this approach. You know, in the maritime world, 2014, the European Maritime Security Strategy has been published as well. We have now, not only a global strategy from the European Union side, but maritime strategy as well. We are now working on the implementation of the different subjects. I think that in a good way, a lot of things have been moved in the right direction and I am optimistic that they will carry on. And if I may say so, the commission, the parliament, and the council, they are doing very well. They are doing this in one line. RH: Any conversation about EU maritime policy or maritime policy will be incomplete without mentioning Turkey and its role in facilitating EU’s maritime sphere. Recently president Erdogan called for a border review of the 1923 treaty of Rozanne in Athens in early December. What do you make of this comment, and how do you think Turkey and the EU can continue to work together on maritime domain issues? LF: It’s a critical situation. Turkey is a member of NATO, and wants or once at least wanted to become a member of the European Union as well. Greece is a member of NATO and the EU. All these years, all these decades, there has been tension between both countries about sea borders and how the treaty is working. Even in the treaty there are disputes over islands and sea borders. This is a fact. I do not think that in the actual situation the border review will take place. I do not think so. The last signals were bit different. There is another convention we have to consider. This is the Montreux convention which is giving Turkey the responsibility to supervise or monitor the Montreux Strait. You have to look into this as well. Both are very close together. The EU and Turkey are well-advised if they are accepting of the status quo, or improve the situation. To talk about improving, there is an ongoing operation between NATO and Turkey, as a NATO member, and Greece on the other hand, in the East part of the Mediterranean and the Aegean Sea. 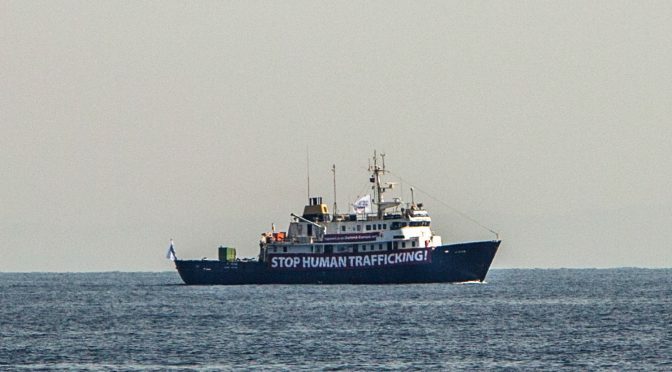 The part of the maritime civil operations where everyone is looking for migrants, not only to rescue them, but to prevent them from going illegally from one country to another. And the cooperation of the partners in these technical operations level is very good. I have heard from colleagues in this operation, the cooperation with the Turkish coast guard is good. They are doing their jobs professionally and well, and the same with Greece. It is good practical example of good practical cooperation. As often you can find on the practical, pragmatic level, you can find solutions for almost all problems. RH: Hopefully based on all the encouraging news you’ve provided with us cooler heads will continue to prevail as there are a plethora of issues that the EU and Turkey need to work together on to solve in the future. Finally Admiral Feldt, for the foreseeable future, you reiterate, the complex picture of today’s maritime security issues, is a consequence of three factors: the transition from industrial to the information age, globalization, and climate change. And that the urgent need for maritime domain and situational awareness is a precondition to achieve good governance at sea. Having spoken about sea blindness already, would you count on those leading to take these issues into effect in policy? LF: I think the first point, the transition from industrial to information age, I think this is a big challenge. This is nothing you can just do automatically. Switching from the industrial to the information age takes time. This issue is not just for the younger generation, it is an issue for my generation and even for those who are little bit younger than I am. A lot of people are still making the assessments and adjustments based on the procedures and experiences that were right and good in the industrial age but which is now overtaken in the information age. And the information age is more than the internet. The social networks are a very important part. The fact that in the information age a hack can be done by a hacker where nobody knows where he’s from, whether it’s his boss telling him now you have to hack the German parliament, or now you have to hack a big company in France or whatever, no one really knows that in the very beginning. It’s not just the use of the internet and all the advantages which you can take out from networking. This is the second point. Networking is becoming more important. Networking happens all the time. But it’s not only the internet. It’s also the information age as a whole new environment. Think about new technologies and the impact of the industry, all that development and our naval units where you are reliant on the computer system. These all need new thinking. A new mindset. This is very difficult to achieve. It takes time to be aware that not everybody is able or willing to follow you, but this is the real thing. So it’s a big challenge. The challenge is not the technology, the challenge is to understand and to use the new technology to your advantage. Globalization is an effect, it’s now under pressure again. I always think that there are no ideas without bad sides, and there are bad sides to globalization as well. Maybe the government has to look into that more carefully, but if we go back to nationalist thinking, then we of course are doing the wrong thing, a very dangerous thing. The clear historical experience that nationalism is in the direction of something we do not want. Certain kinds of own interests is always not only acceptable but necessary, and the real impact is that you have to look for your national interest on one hand, but on the other hand balance them with the international interests as well. If you are not able or willing to do that then you are a danger. Climate change is something very much related to globalization and the change of information age as well. We do not know the final impact of climate change. We only can think about they will change the maritime domain. This will have an impact on everything. The issues and the outcome of climate change, there is only one solution, and this is to prioritize the protection of our maritime domains. Protection of the oceans and the protection of the maritime domain in relation to climate and everything belonging to that, from biodiversity to clean oceans and whatever you may name it, this has a high priority. And it is not a task done by the civilian authorities, the navy must be included as well. They have a responsibility to report and monitor climate protection as well. This is very new to the navy, other things as well, but there is an urgent need to do that. Climate change and the negative sides of climate change are a real challenge. They are a threat. RH: Admiral Feldt, I want to thank you on behalf of the listeners for such a comprehensive analysis and sobering judgment of the current state of affairs. As we dawn on another sea control podcast, Admiral, do you have any quick operational takeaways for the listeners, or issues related to maritime domain we should keep tabs on? LF: If you are interested, take some keywords and go into the internet, or even look into the publications. It’s not just Robert Kaplan who publishes a lot of things. There are a lot of authors and scientists who are publishing a lot about the maritime domain and the complexity and they are not only good for students, but for normal people as well. There are sometimes scientists who are able to write in a way everyone can understand it. The awareness is the first method for my side. The second side is that the cooperation and trust and confidence between the different maritime services must be supported as a citizen of my country. I cannot understand that for example how customs is not able to communicate with the navy without taking some risks due to data protection. Data protection is very important, but if data protection is hindering us in providing safety and security, than it has to be questioned. A lot of people are talking about legal obstacles, who are talking about what we want to do but the law is against us, this is eight out of ten times not the case. They often use the law as shelter not to do something. This is something where citizens must be able to carefully be able to increase security internal and external security in a much more professional way; we are open to information exchange. The internal and external security issue is something which is very crucial thing as well, we have not touched upon that, but it is a very important. You cannot separate internal and external security any longer. And if you do so, you must accept the risk, and you must explain to your citizens why you are doing this, with all the consequences. My third point is if you love the sea, if you are in favor of the sea, if you are really knowing about the sea, not only from the coast but from the ocean as well, it is much more easier to understand the complexity as well as overcome the challenges. It was a great pleasure for me, thank you very much. RH: Admiral Feldt, I would say in conclusion, if our listeners want to follow up on the European or international maritime domain, the Routledge Handbook of Naval strategy and Security, edited by Sebastian Bruns and Joachim Krause and published in 2016 is an indispensable resource to have. In addition, please visit www.kielseapowerseries.com for more info on the book and other podcasts derived from the book. With no shortage of maritime issues in the greater geopolitical landscape, I will be back to keep CIMSEC listeners informed and up to date. From the Institute of Security Policy and its adjunct center for strategy and security, I am Roger Hilton saying farewell and auf wiedersehen. 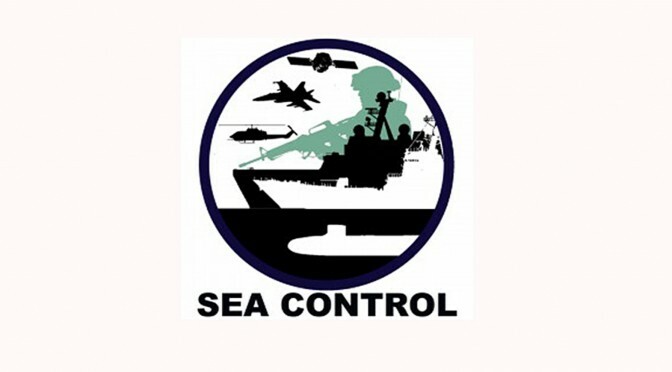 Sea Control 138: CAPT Klaus Mommsen (ret.) on Russia’s Navy: Potemkin or Power Projection? Join the latest episode of Sea Control for a conversation with Captain Klaus Mommsen (ret.) of the German Navy to talk about the Russian Navy and its latest developments. Download Sea Control 138 – Russia’s Navy: Potemkin or Power Projection? The transcript of the conversation between Captain Mommsen (KM) and guest host from the University of Kiel, Roger Hilton (RH), begins below. This transcript has been edited for length and clarity. Special thanks to Associate Producer Ryan Uljua for helping produce this episode and Assistant Producer Valtteri Tamminen for creating the transcript. RH– Hello CIMSEC listeners and readers, my name is Roger Hilton, a nonresident academic fellow for the Institute for Security Policy at the University of Kiel, welcoming you all back for another Sea Control episode. Before diving into our material today, it is my pleasure to introduce our listeners to the Kiel Seapower Series, with a wealth of information and resources, be sure to visit their website at kielseapowerseries.com for all your information on maritime security. If you are an enthusiastic follower of international relations, or even a fair weather observer, it is hard to ignore the success being heaved on Russia’s current foreign policy, and of course it’s grandmaster, President Vladimir Putin. From their cyber prowess, to their acute intervention in the middle east theater, it seems the Kremlin is unbeatable at the moment. Amidst the blitz of publicity, any survey of Russia’s power projection would be incomplete without a survey of their naval forces. Here with us today is retired German Navy Captain Klaus Mommsen, who will help us establish if Russia’s navy is a force to advance their great power aspirations, or merely a Potemkin projection. His contribution in the Routledge Handbook of Naval Strategy and Security provides a succinct description of Russia’s naval history, as well as an analysis of its strengths and weaknesses. Captain Mommsen is a graduate of the Military Academy of the German Armed Forces as well as the Canadian Command and Staff College, after which he spent most of his career in naval intelligence, both as an analyst and in leading staff functions. He has also contributed to Marine Forum, the monthly magazine of the German Maritime Institute for 25 now. Finally, he’s also the author of a book on the history of Israeli Navy. Klaus, it’s a pleasure for you to be with us today. KM– Good morning Roger, thanks for having me on your podcast. RH– Based on their impact and growing geopolitical influence abroad, your piece in the Routledge Handbook contrasts this with a sobering perception of their naval capabilities, both in piece and war time, and frankly provides a bleak outlook for the future. History confirms that Russia’s stage prop is a mixture of a siege mentality perception toward foreigners and the need to dominate their near abroad to guarantee their security. Which is manifested with the use of hard power tactics as we’ve seen recently in Georgia and Ukraine? And before diving into more detail, could you briefly describe how the current military maritime order is divided? KM-Well the Russians can certainly navigate beyond the green water which means inland waterways or brown water which means coastal waters, to the blue oceans, so they have a blue water capability that makes them a blue water navy. They can send task groups or forces all around the world, even come back to combined exercises with friendly navies such as India. So they have a global reach but they do not have the capabilities for power projection. Russia in my opinion, and to my definition, is not a sea power, not using the navy to protect its global trade routes, its sea line of communications outside its regional borders, and with the exception of Syria, has never used the sea beyond mere presence and to actively intervene in conflicts abroad. RH– When you talk about pure power projection, obviously the only country that has true global reach is the United States. But within this different category you have multi-regional power projectors, like Russia, India, Italy, Spain, and Brazil. Could you go into a little bit more detail about multi-region power projection? KM– The Russians are forced to be a multi-region power projector because Russia spans several regions, but the are not connected regions. Some people would argue that the recent deployment of the carrier Kuznetsov, was a power projection from the sea. It was not. It was totally redundant. Ground based aircraft did the work. They flew much over 10,000 sorties over Syria, but the Kuznetsov only a couple of hundred during the whole three months. Just take the sortie rates of other navies, aircraft carriers, the new U.S. Navy carrier Ford will allow for a sortie rate of up to 207 sorties a day. The Nimitz in one exercise managed 197, the French carrier Charles de Gaulle is capable of 100. The Kuznetov, some analyst say that they might generate up to 30 sorties a day and not on a sustained level. Other navies are operating globally and are also during power projection, the French do it, the British Royal Navy does it, the Indian Navy is just a regional navy, they are not really operating out of region. The same goes for some navies in South America which have blue water capabilities just because they have to deal with large areas of the Southern Atlantic or the pacific. That is not for the region, and not for the Russians. RH- Klaus, thank you so much for actually distinguishing that a lot of their power projection in Syria was as a result of their Air force sorties and not their naval capabilities. It is often lost in the discussion. Can you quickly get into the organization of the Russian Navy? Specifically what are its priorities and areas of interest, and its current capabilities? KM– It is currently organized into four fleets. The Northern Fleet in the Kola Peninsula, the Baltic Fleet based in the Gulf of Finland and in the Kaliningrad oblast. The Black Sea Fleet focused on Sevastopol, in now Russian Crimea and Novosibirsk and the Pacific Fleet in Vladivostok and Petropadstok. And then they have a fifth fleet which basically is a flotilla, they call it the Caspian Sea Flotilla, which is locked in the caspian sea. There are some inner water ways where they can transfer ships back and forth, but it is basically not out of region. The current focus is on the Arctic, with its vast resources, and on Western Europe and NATO. And in the southwest with the Black Sea being a jumpboard to the Mediterranean and the Middle East. That is also the only area where Russia sees wide possibilities to strengthen it political or military influence. RH- With that goal in mind of strengthening its influence, what kind of hardware and capabilities do the four fleets and the Caspian flotilla utilize right now to pursue their objectives? KM– They have very old warships and weapons systems, and very modern ones. Most of their arsenal is more or less outdated with many ships 30 or more years old. Modernization efforts are underway with emphasis on blue water capable vessels, such as frigates and submarines, which also are useful in regional waters. The future sees new destroyers, cruiser refurbishment and even a new aircraft carrier, but we are talking decades to come. Progress is slow. The weapons systems are being modernized, currently they have new missiles in their arsenal. We all noticed the test firing and demonstration of their Kalibr cruise missiles from the Caspian sea or the Mediterranean to Syrian targets. Generally the progress of modernization is very slow, and you mentioned Potemkin. The government announces huge progress with more than 80 warships commissioned in 2016. That was meant for the Russian people, with more than 70 of those warships being auxiliaries such as harbor tugs or diver support vessels, small boats. And some tend to just mention numbers in comparing navies, say they have 11 aircraft carriers vs just one. They have 60 destroyers, the Russians have just eight, yet these numbers do not count, it is the capabilities that count. RH– Again Klaus, an excellent observation that it is not the numbers that are important as much as the modernization and capabilities at the disposal of the Russian navy. Moving on to their naval history, anyone who’s ever visited Russia knows that it’s known for its harsh winters and frozen waterway paths which proves to be a strategic disadvantage. Could you go into detail a little bit about how the geography has vexed the composition of the Russian Navy? KM- The whole geography makes Russia landlocked. It is only a few months where sea passage is viable. Under St. Peter, the only viable seaport was Arkhangelsk at the White Seas, accessible only a few months a year. With inland trades, very little developed, you can imagine that no one is going by horse from Moscow to the far east. Czar Peter naturally focused on sea trade. He founded St Petersburg, he saw the Baltic as an access route to sea trade. He had a large commercial fleet, and a new Baltic sea port built at St Petersburg to and to protect these new assets he established a Russian Navy. By the way that is exactly what Mahan had in mind, he said to be a sea power you have to have a commercial fleet and a navy to support it, protect it. So Czar Peter followed Mahan’s aspect. And going further down in history, 50 years later, Catherine looked south. She secured Crimea, founded Sevastopol, and got an access to the Mediterranean. Ice free all year, though she never managed to get hold of the Turkish Strait, we will come to that later. In 1860, Vladivostok in the far east was added and became a major Asia hub for trade. And only in 1916, Murmansk, mostly ice free due to the gulf stream, was available to the Russian commercial fleet and naval fleet. All these naval fleets created at these directions, to the west, to the north, to the southwest to the east, fulfilled merely regional missions. It’s huge distances forbade any combined operations, they tried it once during the Russo-Japanese war but failed, they deployed the Baltic Fleet all the way to Japan. RH– I mean there is no doubt that it was a cataclysmic failure for the Russian Navy in the early 20th century when they embarked on that mission. We’ve established the principal reason for the expansion of the Russian Navy was primarily financial gain under Peter. On the Treaty of Montreux which regulated the Turkish straits, could you go into detail a little bit about why this is so important and how it impacts Russian Navy posture? KM- Some people said that the Treaty of Montreux gives the Turkish control of the Turkish straits. It controls whoever is going in or out of the Black Sea, and regulates the passage of warships. It also restricts the numbers and times that goes for non-Black Sea residents as well as those inside the Black Sea. So Russia also has limitations in deploying its fleet. For example, no submarines may pass submerged, and no aircraft carriers are allowed to pass, even Russian ones. Which by the way lead to the designation of the Admiral Kuznetsov, which was built in the Black Sea in Ukraine, as a flight deck cruiser, not an aircraft carrier. Right now, the Russians stick to the Treaty of Montreux, even though it is restricting their own moves. They see it as a tool to protect their own territory. It is more important to them to keep others out of the Black Sea than to use it for themselves for out-of-area deployments, into the Mediterranean or elsewhere. RH– Undoubtedly Klaus, everything you mentioned is valid but it is important to also assess the redistribution of maritime power with new NATO states including Romania and Bulgaria, and obviously Georgia aggressively looking to join NATO. So it puts a lot of pressure on the Russian Navy in Sevastopol due to these geopolitical factors. One last analogy that would be interesting to listeners, is the comparison between as Rome as a land power and Carthage as a sea power. Is this an accurate comparison at all of Russia? KM– Not really, Rome acted as a land power, but geographically it was not forced to do so. Rome had an outspoken maritime geostrategic location with the Italian peninsula dominating the Mediterranean, they could have dominated the Mediterranean but they focused on land power. Russia on the contrary is landlocked with very few access points to the open sea. RH– It’s beneficial for you to clarify as it is an analogy that is often promoted inside of Russian media sources. Moving on to the USSR, the emergence of the Soviet Navy and its red fleet, apparently from your text did not change or waiver that much from Imperial Russia. Again what was its existential purpose moving forward? KM– Primarily to support land forces and for securing sea supply routes and protecting the seaside flank. RH- So like you said, even during the Soviet times, at its nascent beginning, it didn’t possess the capability to assume a more defensive posture? KM- An offensive posture, yes, but for the navy just posture. Except for the developments of the nuclear ballistic missile submarines, the so called bastion concept, defense of the homeland was dominating and has been dominating today. Increased naval presence abroad is part of that but just that presence is not combat presence. Once in awhile they use it for political bullying. RH- Its great you were able to bring up the bastion concept because it really reinforces Russia’s siege mentality perception of foreigners as well as their need to dominate in the near abroad. An interesting focus comes with the major changes that took place under Admiral Sergei Gorshkov who was in charge of the Soviet Navy from 1956 to 1985. Its referred to as the golden age, could you provide details or elaborate on what major reforms took place under his tenure? KM- Some people tend to see this as the Soviet Navy, the red fleet moving from the home waters to the oceans as an offensive posture. Basically, the thought behind it was still defensive in nature, with increasing range of weapons developed, nuclear missiles, submarine launched nuclear missiles, aircraft carriers, they could not wait in home waters for the enemy to arrive there. They had to leave home waters to challenge the enemy already embarked, the enemy meaning the U.S. and NATO. This could be understood as the strengthening of offensive capabilities. They created a deeply layered line of defense. Starting in the open Atlantic with submarines and aircraft, antisubmarine warfare aircraft and cruisers with long-range missiles. All these assets were to counter U.S. carrier strike groups and the ballistic missile submarines to keep them away, out of reach of the Russian homeland, to protect the motherland’s coasts, ports, and naval bases. The first layer out in the Atlantic, the second layer just north of the North Cape, then came the Barents Sea, and then came protection of their own ballistic missile submarines as a second strike capability, which were basically holed up in the Kara Sea in the arctic waters, out of reach for the U.S. forces. RH– I think we would both agree that Peter the Great would be envious of Russia’s ability at this time to create such strategic depth while encountering a much more advanced western adversary. Against this backdrop, what would you suggest is the main takeaway from the USSR’s experience at sea? KM- Their main mission was to protect the core of Russia. They had no real responsibility for maritime offensive operations. The flank protection of land operations was dominating. Offensive concepts of operations were part of the game. Submarines had to cut off NATO’s supply lines, again with the aim to favor their own land forces in Europe. In previous operations to gain the Baltic approaches, they were meant to open up lanes to the North Sea and North Atlantic and use Baltic rear facilities for logistics and repairs for ships of the northern fleet operating there. Ships like Kiev-class aircraft carriers were to facilitate quick shifts of focus in amphibious operations, just operations off the coast. They were not meant for power projection in other reaches of the world. The overall aim was not to expand their operations to the world oceans, they were just integrating the oceans into their own homeland defense. RH- Klaus, the last thing as we dive back into history, as they routinely say we’re entering a new Cold War. Would you say that the Cuban Missile Crisis in 1962 was arguable was arguably the greatest success of the Soviet Navy? KM- It was definitely the greatest achievement in logistics operations. 86 navy civilian ships made 183 trips, transported 42,000 soldiers, and 230 tons of cargo to Cuba. That was a logistic operation. Again, they avoided military confrontation, the navy was insufficient to challenge the U.S. at sea. Especially when far away from home. So with only the nuclear option left, tThey eventually withdrew and backed down. RH- Moving on now to the post- Soviet Navy, obviously a lot changed with its collapse and the Russian Navy was left in a dilapidated state. With the emergence of the new independent republics came the loss of basing rights, for example. What were some of the major operational consequences that the Russian Federation had to deal with as a result of the loss of basing rights and territory? KM- They have to just look at the map to see that they lost major parts of the Baltic and Black Sea coast. In the Baltic they were driven back to the Gulf of Finland which is the most eastern part and the Kaliningrad enclave, that is all that was left. All of the Baltic state coast was gone. The same happened in the Black Sea, the Crimea went to the Ukraine and Georgia became independent. That left Russia a small portion of the Black Sea coast focused around the Novorossiysk. For two decades they made a deal with Sevastopol leasing agreements with Ukraine so they could stay and use Sevastopol in the Black Sea. What was gone also was all the shipyards in Ukraine. That was where large combat ships, including aircraft carrier,s were built. They were gone, and Russia was financially broke. The shipyard industry had completely refocused, they had no more subcontractors in former Warsaw pact states, except Ukraine which remained the sole manufacturer for gas turbines. A serious mistake to be felt after 2014. What augmented it was the access to western technology and lack of funds, along with neglected indigenous development. More than half of their submarines were decommissioned, and large surface ships had to be laid up. They had no money to keep them afloat, no personnel to man them. Most ship engineers came from the Baltic soviet republics. They were gone out of country. They were forced to make due with a small combat corps. Just a few ships which they put all effort into keeping them combat ready. But basically they remained merely for coastal defense. RH- There is no doubt after reading your text that after the collapse of the USSR, their competency to build ships vanished completely. But what is more exposed today I think you’ll agree is the indigenous development program and their overt reliance reliance on foreigners for both equipment and experience. Before we get into the strategic considerations and their objectives, there was a brief moment of rapprochement of former enemies joined in multilateral naval exercises. Today this is something that seems so far fetched, but maybe you can go into detail about this initiative that was taken immediately after the collapse of the USSR. KM- The Yeltsin Russia was wise enough to see that it had no chance to survive in continuing confrontation with the west. Confrontation with the west had ruined it financially. Reagan had said that the Star Wars program had brought them to their limits and over their limits. So Yeltsin sought to engage with the west. The navies also did some programs, combined annual exercises with France, the U.K. and the U.S., where they rotated posting these exercises through the four countries. They had polar exercises with Norway, and they even joined the BALTOPS exercise, which before had been a U.S. hosted exercise for only NATO partners. They even joined NATO counter-terror operation Active Endeavor in the Mediterranean until approximately 2008. RH- The third section of your piece talks about the strategic reconsiderations of Russia, the Russian Navy, and their motivation to get back to the oceans. You single out two seminal moments for this reformation of doctrine. One is the March 2000 assumption of the Russian presidency by Vladimir Putin and the subsequent introduction of the 2010 Military Doctrine of the Russian Federation, which put an emphasis on transport routes for energy resources. What should be known about these two elements? KM-When Putin came to power in 2000, he first continued the friendly relationship with the west, including all the naval programs. The 2010 military doctrine was after Georgia, which was in 2008. The doctrine puts an emphasis on the arctic. Other sea lines of communication are out of reach for the Russian Navy, at least for sustained operations under real threat. They did do anti-piracy operations off the Horn of Africa, but with the emerging Mediterranean squadron, they had to skip that due to a lack of ships. Controlling sea lines of communication until today is not a mission for the Russian navy. They do not have the capabilities to do it globally. The arctic yes, because that is off their own coastline, some chokepoints possibly, but with limits to resources. RH- What then was the overarching objective of the Putin regime’s strategic reconsideration? KM- To paraphrase, to make Russia great again. He does not like Russia to be called a regional power with just nukes. He does not want to be junior partner in multinational U.S.-led operations or world politic. He wants Russia accepted as a superpower, also at sea on the oceans. By the way, that was the main reason for the Kuznetsov deployment to Syria. To demonstrate they have the capabilities in a conflict, Syria, that has no maritime dimension at all. Together with the Admiral Kuznetsov, the missile cruiser Pyotr Velikiy was deployed to Syria. But it was not mentioned a single time in any general staff briefings. Even the Kuznezov after flying some initial sorties, combat sorties, was totally out of reporting from general staff briefings for two months. RH- Klaus, everything you said is very valid, anybody who was following Russia’s naval intervention must take the deployment of their aircraft carrier with a bit of salt, as photos of it around England with a tug for in the event that it would break down really demonstrated that maybe it wasn’t such a power projection tool as we thought, and how outdated it was to shoot off its planes for its sorties. Do you have any commentary about the flotillas and their less-than permanent presence far from home bases? KM- The new flotilla concept for out-of-area presence was announced in 2012 and said it would create permanent squadrons in several places around the world. The first one was the Mediterranean squadron to be set up and commanded and controlled from the Black Sea Fleet. They had in mind that the Mediterranean squadron would be comprised of new frigates and submarines that were under construction then and were thought to be delivered and commissioned around 2014 or even earlier. They were centered around the Syrian base of Tartus for logistics. At that time they did not see the detrimental effects of the Ukraine crisis, which only developed in 2014. And the embargoes, which combined with homemade deficiencies in naval shipbuilding, wrecked all of their ambitions for out of area deployment. Officially they even had to use other fleets to back up for the lack of the Black Sea Fleet. Northern Fleet and Baltic Fleet units had to deploy to the Mediterranean just to act with the Mediterranean squadron which did not do any operations. They just sat there with naval presence. Even the Pacific Fleet had deployed its missile cruiser Varyag for some time to be part of the Mediterranean squadron. In official statements I do not see a limited Black Sea Fleet. For them, the required use of Northern Fleet, Black Sea, Baltic Fleet, and even Pacific ships was just another demonstration of the growing capabilities for interfleet operations. RH- Despite all of these official statements you would assume it’s very misleading to describe them as having high operational interfleet operations though right? RH- It’s still another example of Potemkin projection. As you said in principle, the potential creation of the standing task force for out-o- area operations has great merit. But unsurprisingly it appears that Russia is far removed from this capability. What has contributed to this impotent initiative? KM- The permanent out-of-area squadrons are great for political purposes including propaganda meant for the Russian people, not the whole world. Naval presence as they had exercised it in the 1960s and 1970s in the Mediterranean was again to become a tool for strengthening political influence, especially in an unstable region as the Middle East after the Arab Spring. That’s why they chose the first permanent squadron to be set up in the Mediterranean. In theory the combat capabilities don’t matter there. It does not matter if three or four or five destroyers are there or just one. The problem for the whole permanent squadron concept is that they have no sea basing concept. 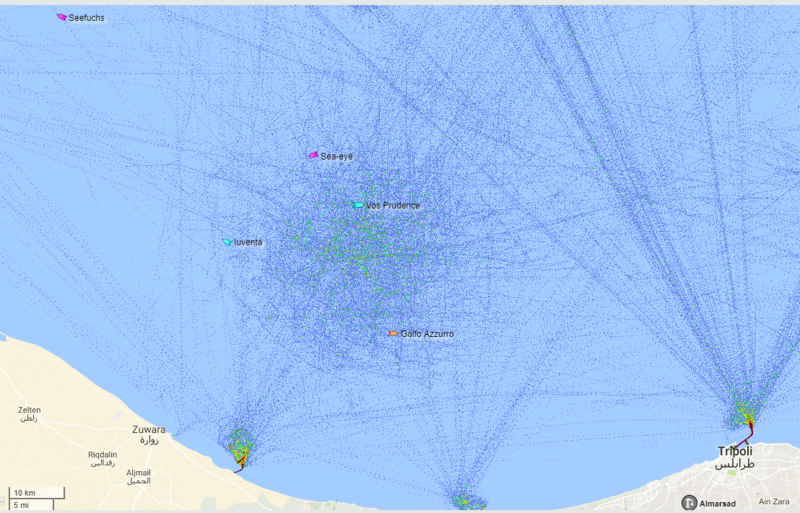 They need access to shore facilities and they lack, of course, the required number of ships. RH- As you said earlier, correct me if I’m wrong, but the only permanent base that Russia has access to is in Tartus, Syria, which is essentially a vassal state now of the Kremlin. In principle Vietnam has agreed, but there are other states who are hesitant about providing permanent presence for the Russian Navy. Do you have any commentary to add to this? KM- Vietnam is the strongest candidate and they have no problems with the Russians replenishing in Cam Ranh Bay. Only they are not interested in the sharing of sovereignty, which the Russians want. They want their own part of the port where they have full control. All permanent squadrons would need some logistical support in the region where they are to operate, so they have been courting Vietnam. They talked to Cuba, they talked to equatorial Guinea, they talked to Mozambique, they talked to Yemen, even contemplated setting out on a port on the island of Socotra. They are even looking now, in my opinion, at a possible Syrian post asset option. They even courted Cyprus which said “no, no we don’t like it.” Currently in recent weeks they focused on Libya, in Benghazi or Tobruk, and are courting the east Libyan renegade government of Field Marshal Haftar. RH- Obviously their mediation with the potential government in Haftar reinforces their delinquent activity in the political process about assuming peace. As you said I think it’s most likely that that might be the second best option after Tartus if Assad is able to hold on. KM- When the Kuznetsov had ended its deployment to Syria, it even made a short stop off Tobruk to welcome Haftar on board. RH- If I remember correctly I think he had a video link with Defense Minister Shoigu. Getting back to the countries they have been courting, it’s not exactly the most attractive list of modernized and well-funded countries. Back in the post Georgia conflict in 2008, obviously with their intervention they now occupy 20 percent of the territory, especially in Abkhazia and the port of Sokhumi, do you have any commentary to add to that rapprochement that was officially terminated? KM- Yes it was officially terminated, but the problem was there were not real sanctions. We said we will not exercise with you anymore and military cooperation programs were terminated. But after two or three years relations were slowly returning to normal, when Putin came to power again. After that lack of Western response to the Georgian crisis, Putin probably thought that he could get away with Crimea. He just had to overcome a 2-3 year lean period and everything would slowly return to normal. He would have Crimea and would have won. RH- It was definitely a dangerous precedent set by the international community not responding more forcefully to the centrally annexed territory of Georgia. As we established now, financial resources are scarce in Russia, they lack competency to manage shipbuilding, and there is rampant misuse of the budget. What would you say is the current state of affairs and progress of the 2020 state-sponsored shipbuilding program? KM- The current state is in dire straits. They lack money, they have sanctions in place, the shipbuilding industry is down, subcontractors are not working anymore. While everyone is focused on non delivery of Ukrainian gas turbines, there are many other items lacking. It goes from air conditioning, convenience items, diesel engines, they got German engines from German MTU, now they are looking for China which has been building MTU engines under a license agreement. But those engines are 1980s technological standard so nobody cares whether they get them or not. KM- Yeah. Subcontractors cannot deliver systems, but that is not sanctioned necessarily. Just recently there was a report that the commissioning of two modern frigates has been delayed because a subcontractor cannot deliver the Russian-made air defense systems for them. They lack skilled workers. The shipyard infrastructure is degrading. There is confused planning. They use overly confident data brought in to save money or to get contracts, and then afterwards have to say “we calculated all wrong” which leads to more delays. They have corrupt and incompetent bosses, managers. And the Russian Ministry is very reluctant or not at all paying for military contracts. They have no quality controls. Just today there was news that Vympel shipyard has to pay fines for delivering faulty diesel engines for interceptor craft. Once in St. Petersburg one of the most renowned shipyards had to fire its director for inability to complete 3 arctic support ships. And completing them in the other shipyard, Kaliningrad, where the situation is not much better by the way. On the other hand. The Admiralty shipyard in St Petersburg delivered all six Kilo Submarines to Vietnam on time. One reason was most probably they had been paid on time. RH- One sliver of hope most likely in the native shipyard industry, as we said the shipyards are incapable of producing indigenous replacements that substitute for sanctions post Crimea. Despite the apparent amicability between President Trump and President Putin, it looks as if the honeymoon is over. What could they take away in terms of the shipyard industry with this relationship? KM- They used to announce great achievements, saying that in 2017 we will have new gas turbines to build into our new frigates, but only very few indigenous systems have made it to serious production. There are year-long delays, the gas turbines announced for this year are more likely to be available in 2019. And the problem is not only to replace sanctioned goods, but lack of quality with their very own weapons systems. RH- Klaus, the sum total of your analysis paints an ugly picture moving forward for the Russian Navy. Despite this, you stated in the book that the Navy can expect greater autonomy, flexibility with higher sea endurance, and better sustainability with out -of-area operations. Based on the given strengths, financial resources, and less-than capable industrial complex, what is the likelihood that this will be achieved? KM- I do not see them out of the doldrums anytime soon. To the contrary, in my opinion, economic shortfalls will continue to limit defense spending and delay nearly all shipbuilding projects. Just have a look at the oil prices. They are much too dependent on oil exports and natural resource exports and energy exports. The prices are much below what they need to sustain their economy. Just recently they announced slashing the fiscal year defense budget by 25 percent compared with 2016. Certainly this is not driven by a goodwill signal for arms reduction, but by economic shortfalls. We will continue to see several year delays to nearly all shipbuilding programs, at least complex major combat ships. They will roll out small port/harbor tugs and small boats. Publicly, meaning to their own people, they will claim huge successes. In reality they will basically stay where they are. For the Russian Navy that means that they will stay in the marginal seas, they will be defending the motherland, and that will remain the main mission. There will be out-of-area operations, but merely in the form of cruises, no power projection from the sea. Programs do not perceive a major seabasing capability, which is required for projecting power from the sea. RH- Well Klaus, based on our working hypothesis about if the Russian Navy was either a Potemkin or power projection, it seems quite evident that it is more Potemkin than anything. If you were advising Russian President Putin, what priorities would you set, and the final operational takeaway for assessing the Russian Navy with great power aspirations? KM- If I were Putin, I would for the Navy focus on homeland defense and marginal seas. I would stop bullying neighbors, which can only lead to an arms race that Russia has no chance to win. I would try to mend broken ties. The instruments for dialogue with NATO are still in place, and in some fields, far from public view, Russia is even talking to NATO nations. Just yesterday, in Boston in the U.S., the Arctic Coast Guard Forum which includes Canada, Finland, Greenland, Denmark, Iceland, Norway, Russia, Sweden and the U.S. signed a doctrine of tactics and information sharing for operations in arctic waters. So Russia is signing a document, a protocol for combined operations with NATO nations. That is worthwhile remembering. Putin, and we all should realize that Russia is a political superpower with its role in the the UN Security Council, militarily is a regional power, spanning several regions from the Pacific to the Atlantic and to the south. It is made a global power only by nukes. Except for maybe shows of force with global deployments, you will not see any power projection from the sea by Russia. RH- Just to clarify for readers and listeners regarding the recent contract signed with arctic powers, both Finland or Sweden aren’t NATO members. Klaus, again, undoubtedly the current Russian statecraft shows no sign of being diminished. it is critical to never overlook their Potemkin posture on the high seas. There’s a litany of facts mentioned that range from a lack of competencies, insufficient funds, and incompetent management just to name a few. Captain Mommsen, thanks again for providing such a timely description on the Russian Navy. If you want to follow up on this podcast or other pressing maritime issues, you can find the Routledge Handbook of Naval Strategy and Security online, and most importantly don’t forget to check out the official Kiel Seapower website for all the latest updates on marine security issues. As usual, listeners, I will be back shortly to discuss more maritime issues. From the Institute for Security Policy at the University of Kiel, I’m Roger Hilton saying moin moin and farewell. Thanks everybody. 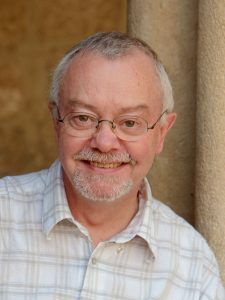 Klaus Mommsen was born in 1948. In 1968, he joined the German Navy where after graduating he became a naval aviator. In 1982, he attended the Canadian Forces Command and Staff College. His subsequent career saw him mostly employed with military (both naval and joint) intelligence. In 2002, he retired as Captain (Navy) from his last posting as Deputy Chief of Staff (Intelligence) of the German Fleet. 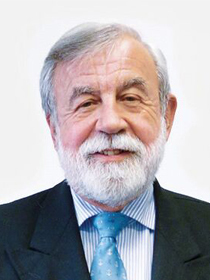 As early as 1992, Mommsen started writing for the German naval magazine MarineForum (which until today lists him as editor foreign navies) and since has become a renowned German columnist for international naval affairs. He is married and lives in Germany, near Bonn. Roger Hilton is a nonresident academic fellow for the Institute for Security Policy at the University of Kiel.